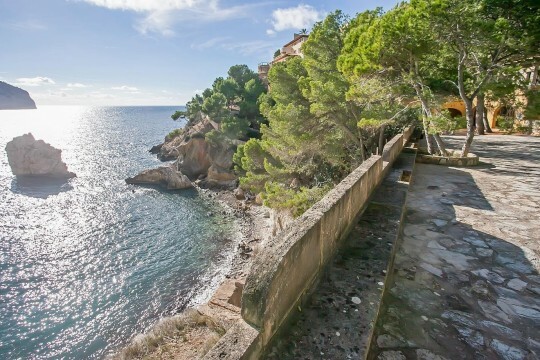 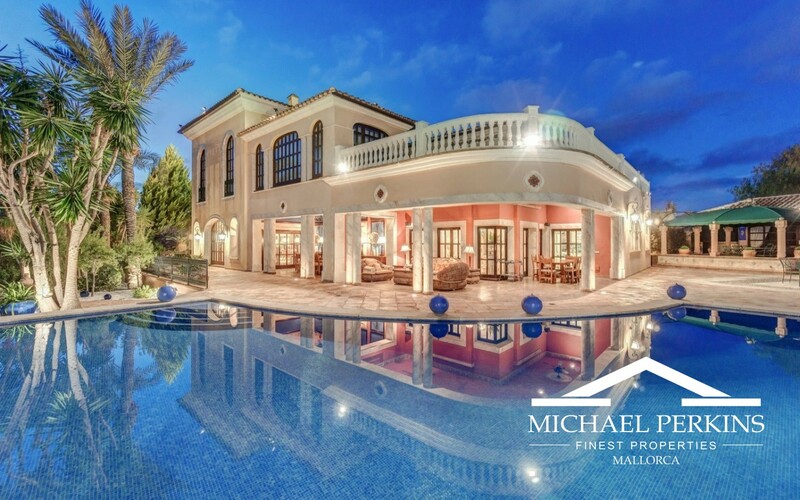 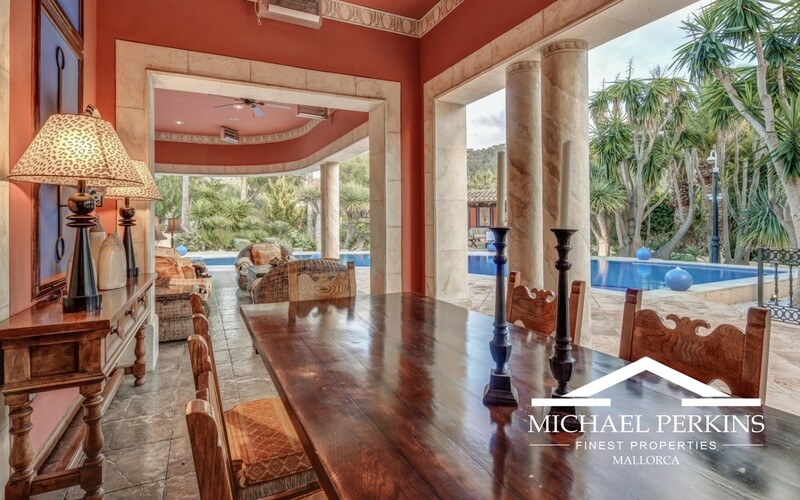 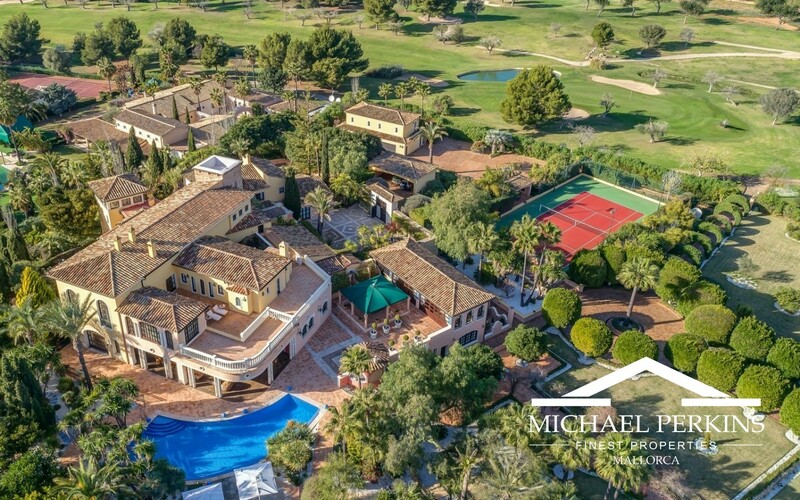 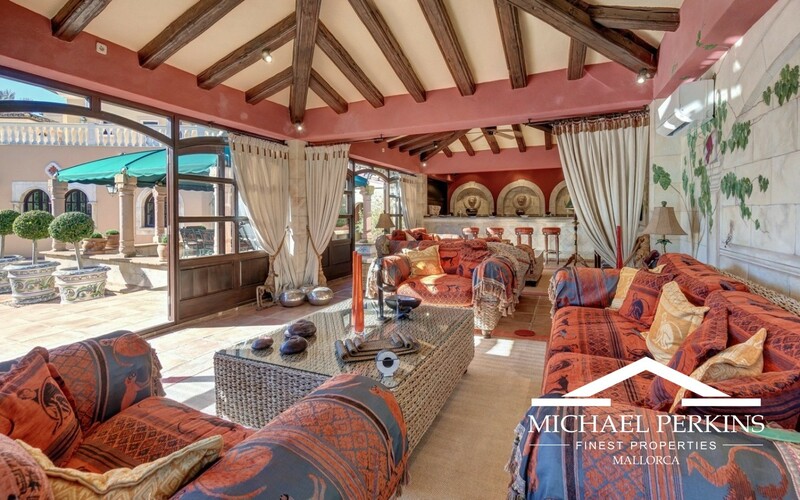 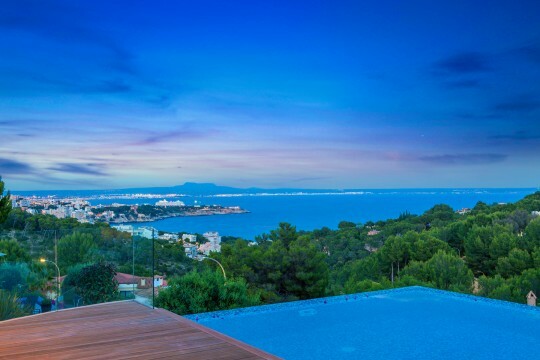 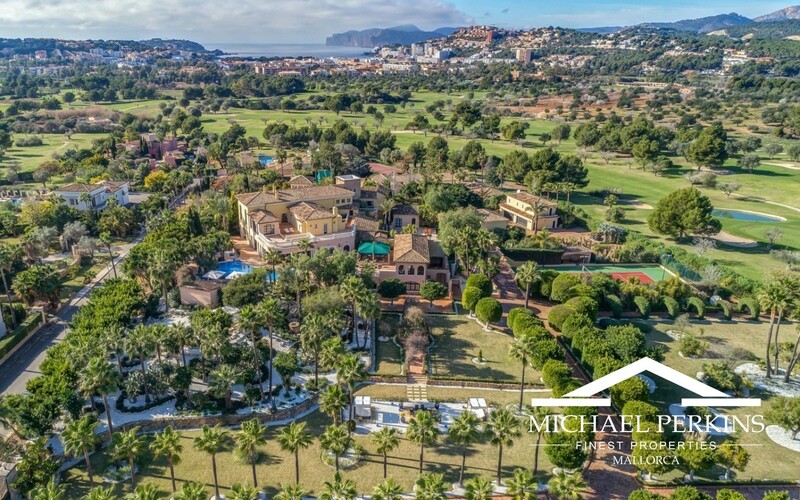 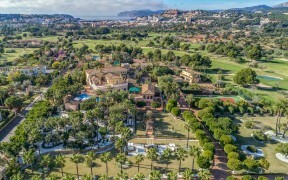 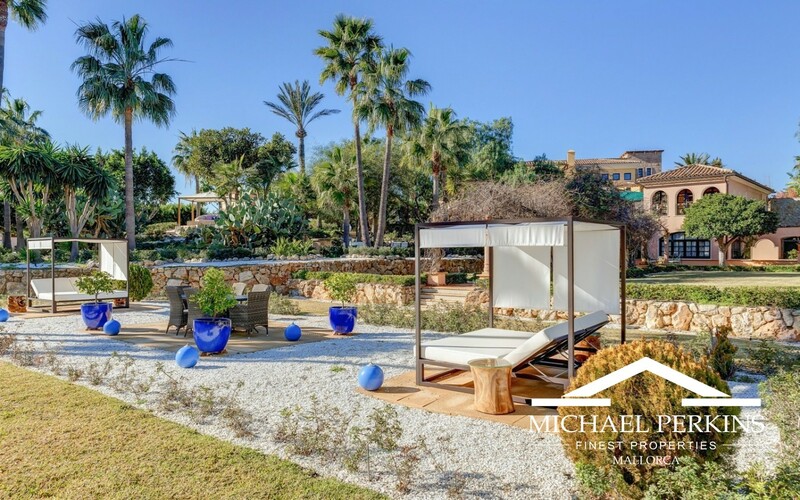 This is a sensational estate in a prime location on the boundary of Santa Ponsa Golf Course. 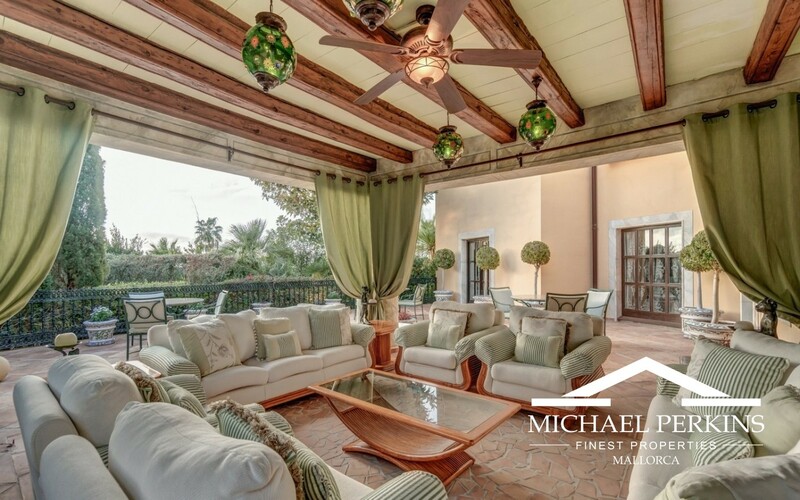 The main house contains five bedroom suites, plus three additional guest bedroom suites and separate staff quarters. 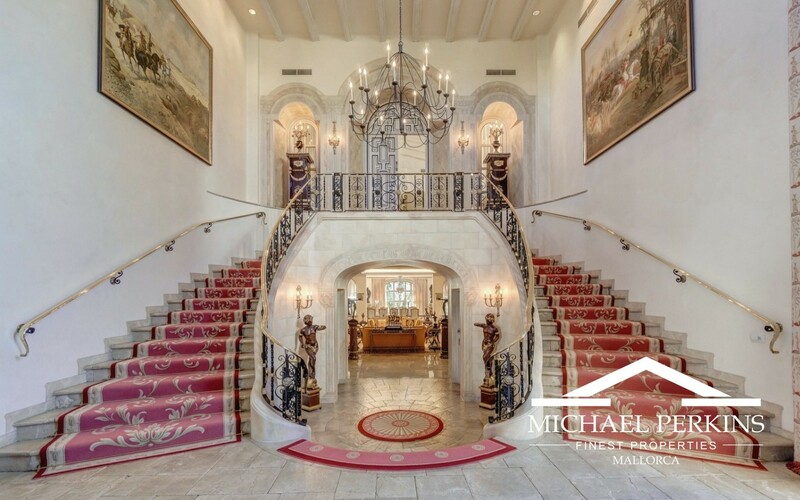 An impressive driveway leads through mature gardens to the main house which is beautifully presented to allow for entertaining on a grand scale. 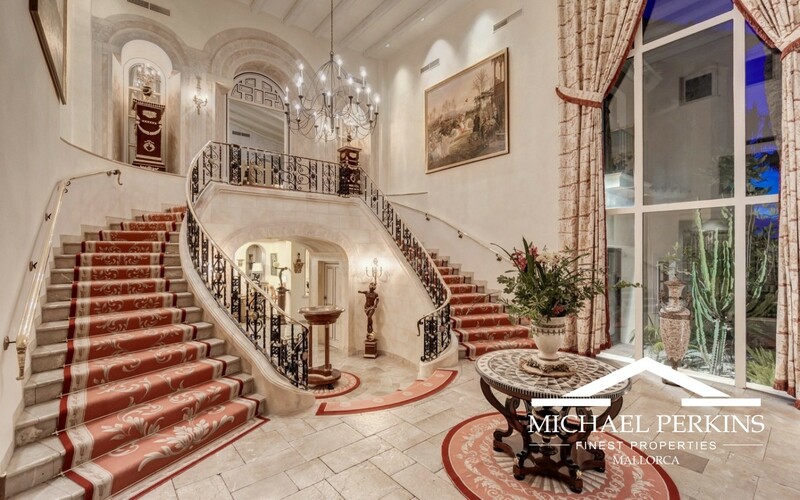 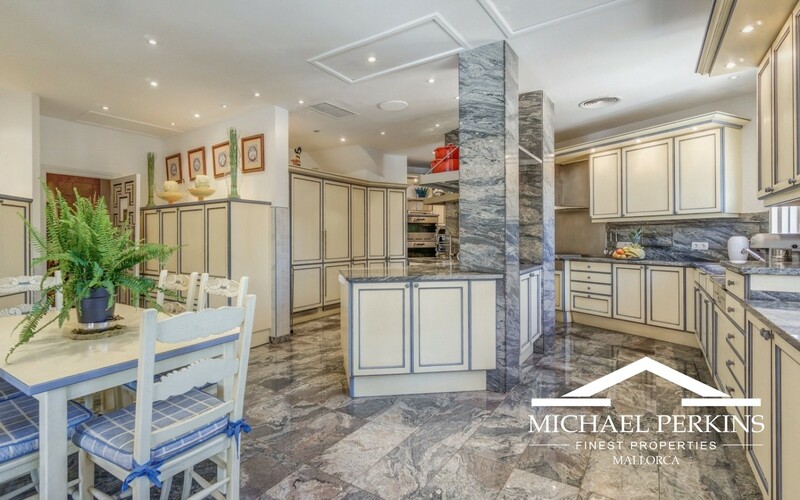 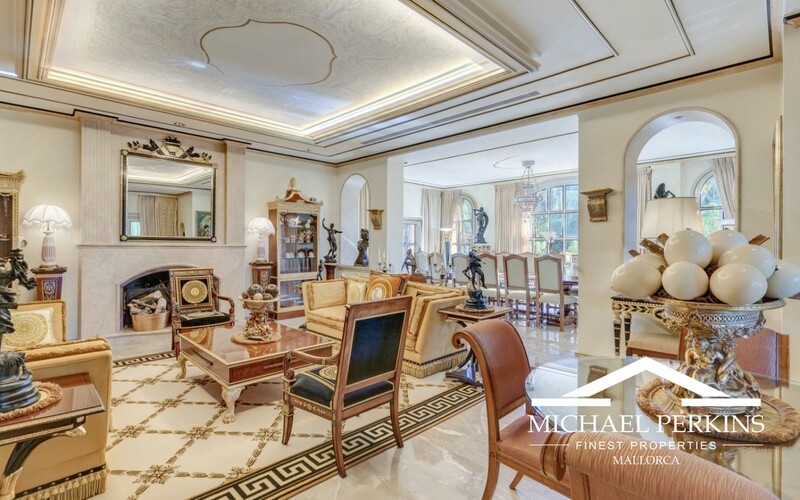 There is a superb entrance hall with double staircase, two reception rooms, dining room, library, bar, top quality kitchen, wine cellar and office. 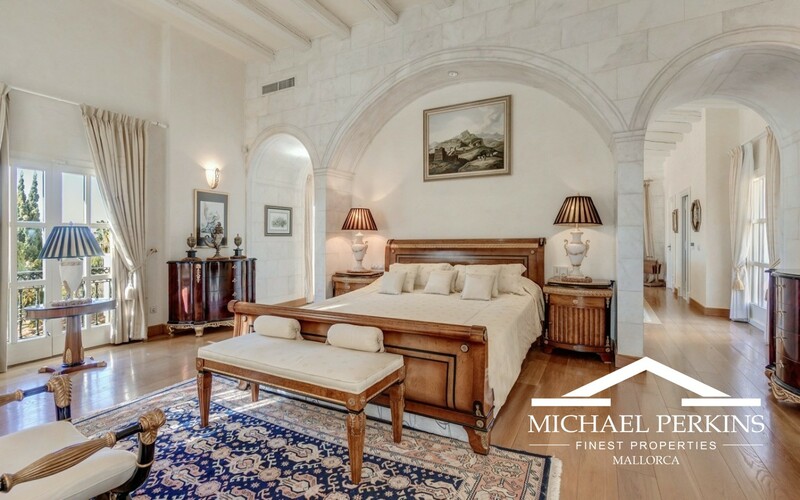 The substantial master bedroom suite has both sitting and dining areas, a kitchenette, dressing room and two bathrooms. The other bedroom suites offer a variety of spacious ensuite bathrooms and living areas. 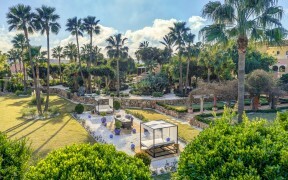 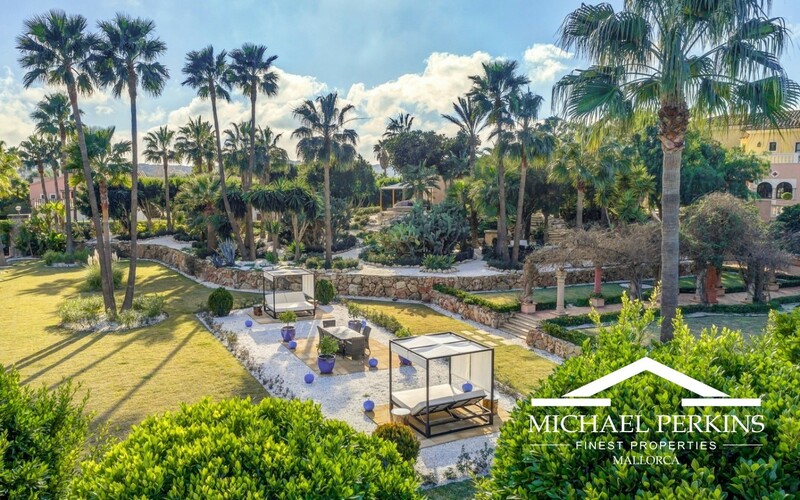 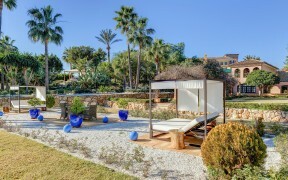 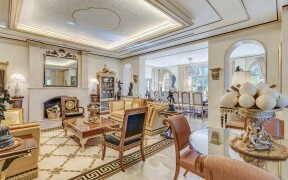 Outside there are ample beautifully decorated covered and open terraces with a large swimming pool and tennis court. 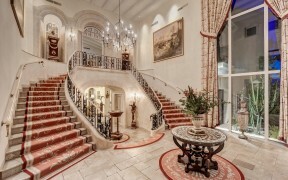 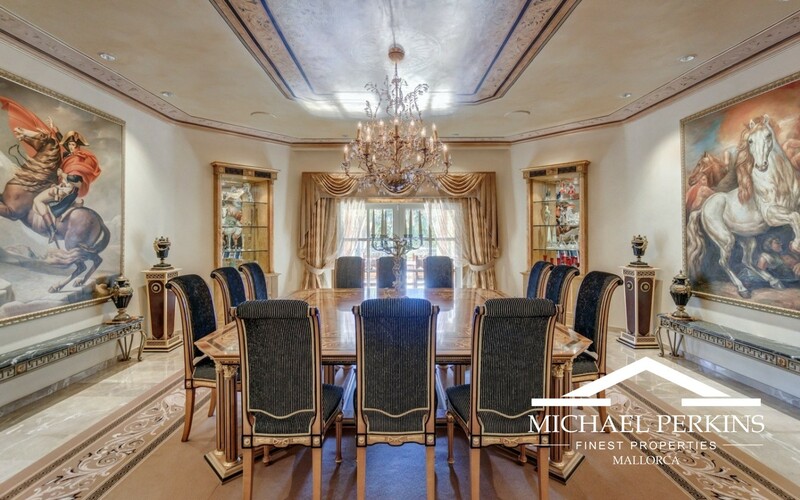 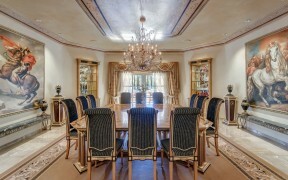 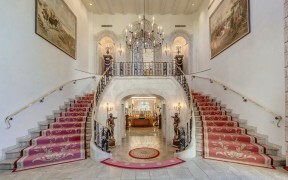 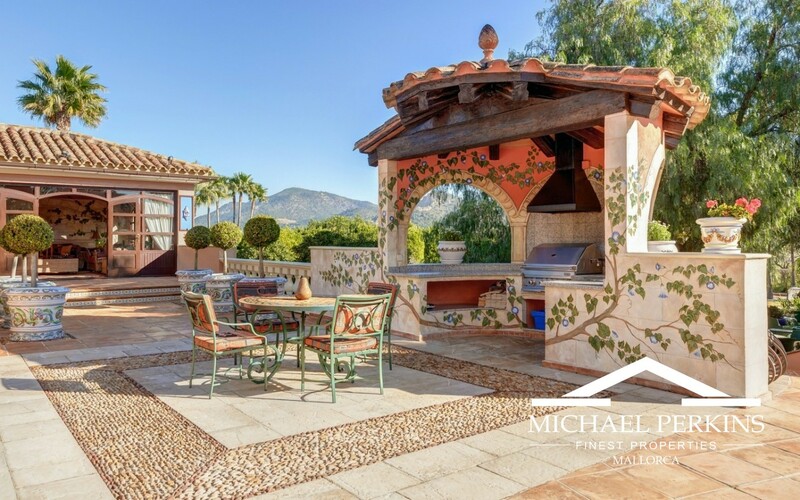 This is an exceptional estate with lots of character and is highly recommended for viewing.